The all New 2018 Audi A6 has officially been revealed. 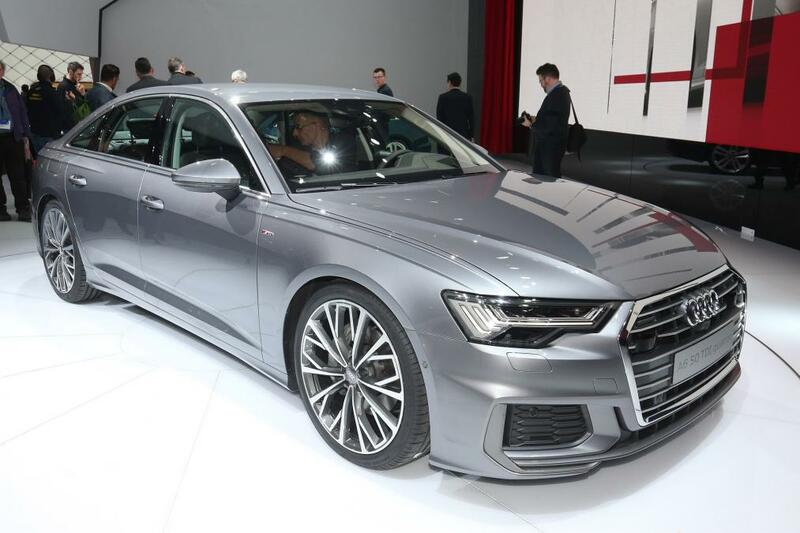 Audi’s answer to the BMW 5 Series and Mercedes E-Class comes with a redesign that takes inspiration from the larger A8, along with more technology and mild-hybrid powertrains as standard across the range. We got our first close up look at it during the 2018 Geneva Motor Show, ahead of it going on sale in the UK this June. The A6 joins the larger A8 and A7 in the fact that its design was signed off in its entirety by Marc Lichte – Audi’s design boss. On the outside, the A6 is inspired by the A8, but with reduced overhangs, a lower stance, and different body details, all in an attempt to make it appear more “athletic”.